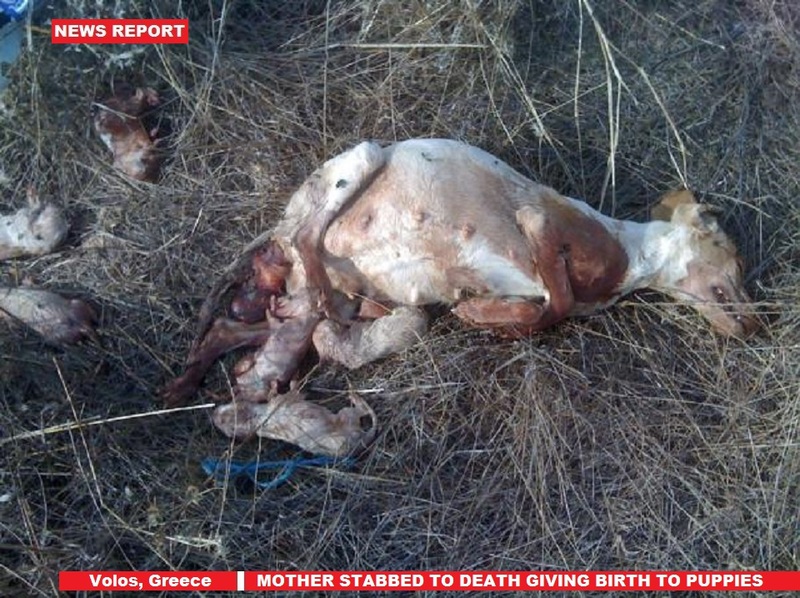 Florica TSIROGIANNI, President of the group FILOZOIKOS VOLOU WORLD ASSOCIATION AND NATURE “Kosmos kai Fysi” (means World and Nature) has reported the horrific details of a mother found stabbed to death whilst giving birth to her babies in Alikes, Volos, Greece. 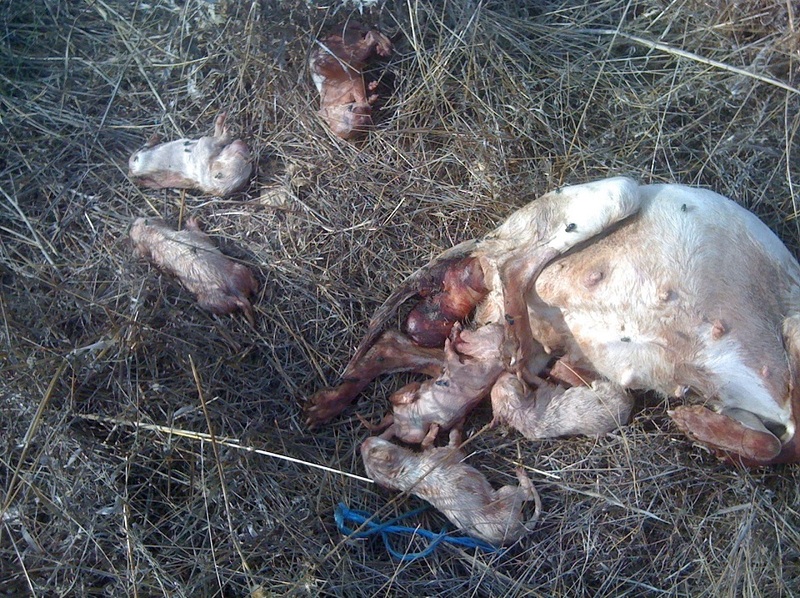 A local resident in the area found a sack tied with blue rope, inside the sack was the horrific sight of the female dog with stab wounds to her head and body, 4 NEWBORN PUPPIES dead, 3 more newborn puppies still alive covered in birth fluid in the sack and she appeared to have more unborn puppies inside her womb. 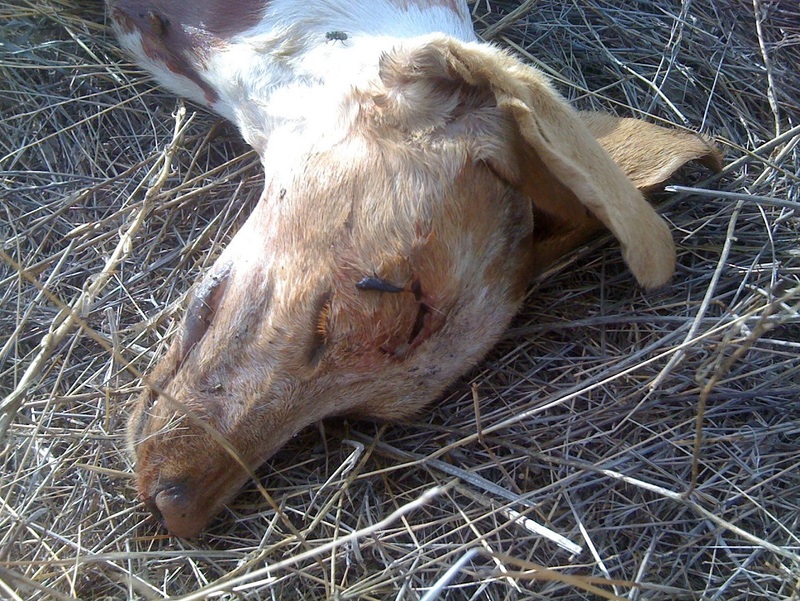 Florica TSIROGIANNI, President of the group FILOZOIKOS VOLOU WORLD ASSOCIATION AND NATURE has stated the horrific murder has been reported to Police in Volos. * It is unclear at this stage as to the welfare of the 3 puppies said to be found alive. OMG!!!!!!!!!!!!!!!!!!!!!!!!!! What an EVIL act!!!!!!!!!!!!!! Jesusfuckingchrist, it is so easy to hate some people. there are some sick mother F,er out there!.. This deeply saddens me it breaks my heart I can barely even look at it. Someone who would do this is absolutely evil and has no soul.